The New Fiat Tipo Station Wagon is now available in our Fiat centres, designed to deliver comfort and functionality, all within 4.57 metres of length: standard roof bars, spacious interior room, best in class rear leg room and one of the biggest boots in its category with 550 litres capacity. Every part of the Fiat Tipo Station Wagon blends elegantly and harmoniously into the overall architecture from the LED daytime running lights (DRLs) to the generous horizontal chrome grille For a personality that won’t go unnoticed. Driver and passengers will be comfortable in a Fiat Tipo Station Wagon. It has the best rear leg room space in its class and numerous storage compartments designed for your leisure and the family. Together with a perfect alignment of the steering-wheel, pedals and seat creates a truly ergonomic driving position. Everything is now within reach. Get inside the new Fiat Tipo Station Wagon at Richard Hardie and discover the pleasure of state-of-the-art technology with the Uconnect 5” touchscreen radio with navigation system, Bluetooth, DAB, USB, and Aux-in. Tuneln and Deezer will provide the best entertainment experience for your favourite tracks. The Fiat Tipo Station Wagon brings you the right solutions to get the best performance, from the 1.4 litre petrol to the 1.6 litre Multijet diesel, with fuel consumption up to 76.3 mpg (3.7 1/100 km). To find out more about the Fiat Tipo Station Wagon, book an appointment at one of our Fiat Centres across the North East of England. 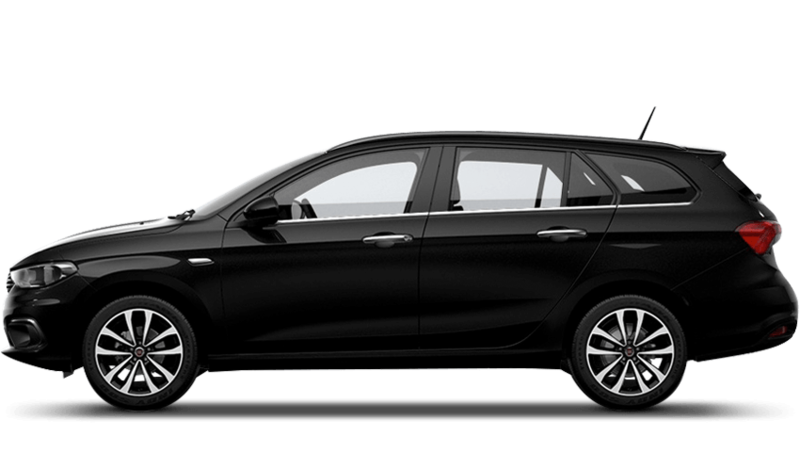 With a wealth of standard equipment the Fiat Tipo 1.4 Easy features 15" Steel Wheels, Chrome door handles, body coloured electric adjustable door mirrors , body coloured bumpers, manual Air Conditioning, Uconnect Radio with Aux-in, USB, DAB and Bluetooth and tyre pressure monitoring system (TPMS). In addition to the Easy trim level the Easy Plus trim level offers 16" Alloy wheels, fog lights, 5"Uconnect touchscreen Radio with Aux-in, USB, DAB and Bluetooth, intergrated LED DRLs, Leather steering-wheel and gear knob, rear parking sensors, cruise control and electric rear windows. Model shown for illustration purposes only and are subject to availability.